Sanjay Joseph | OK Listen! Sanjay Joseph is an artist. The guitar is his exoskeleton. When you see him articulating on his instrument, you experience unity between the body and the soul. 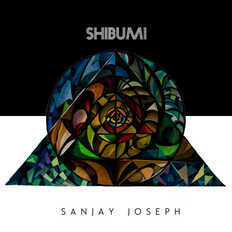 He started young and, after paying his dues in various musical situations (including stints with various rock/ jazz bands, artist luminaries like Ranjit Barot, Louis Banks, KK and A R Rahman , he conceived Shibumi – a composite expression that straddles the worlds of music, nutrition, spirituality, discipline and abandonment. It has been an old and long journey, with the first ideas of the album being planted in 2004-2005. This is a voice in music that will stay with you in mysterious ways. Shibumi is a story-melody fortified by a rhythmic foundation that dares the rock and jazz idiom in a way that is not done often. It will rock you and make you think.